The new addition the B&O MP3 range, the Beosound 6 strikes out in a different direction for the company and embraces the prevailing trend for flash memory and a colour screen. Planned for launch in the summer, the Beosound 6 will come with a leather case and A8 earphones. 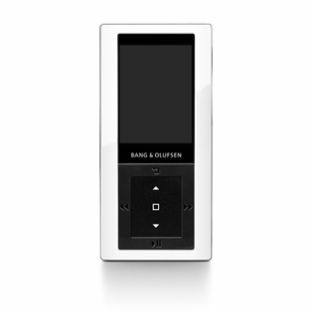 Unlike the Beosound 2, the Beosound 6 does not use SD cards but relies on an internal memory of 4Gb. This is addressed through a port at the base which attaches to the USB port on the computer. 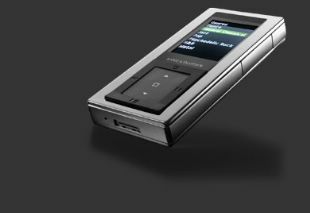 It would appear that the Beosound 6 is based upon the Samsung YP-Z5 MP3 player and shares that players control interface. This moves away from the accustomed Beo4 type control and, if the Samsung is anything to go by, is not as user friendly. 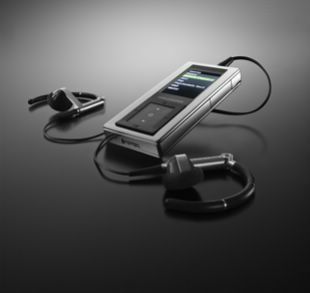 At the present, the price is estimated to be in the region of £400 (625 €) including the leather case and A8 earphones. 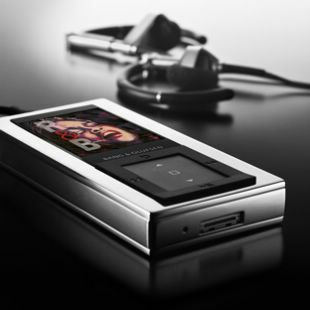 The Beosound 6 could be seen as a me too type device and with little of the usual B&O flair, but B&O are clearly aiming at those people in the Apple iPod Nano market who want something a little different. The screen interface would seem to have been modified gently to resemble the B&O style. One would hope that the sound quality would be of the same standard as the Beosound 2 and the provision of the A8 earphones can only help this. There is sometimes a problem in getting a Vista based computer to recognise the Beosound 6. This can be rectified by un-installing the Beoplayer software and then re-loading wit the newest version. Sometimes you would appear to have the latest software but the un-install and reload still works.